This was an odd little project. 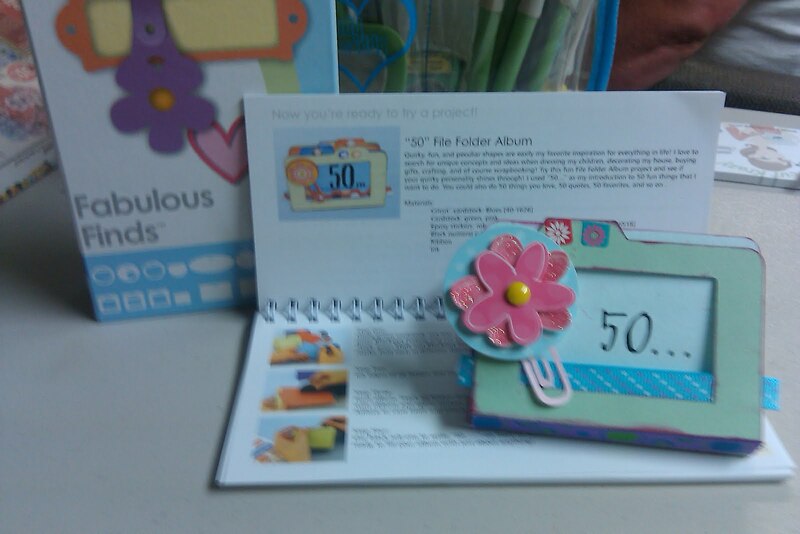 It's a "50" file folder. You are supposed to put 50 of something in it. First, it's very small. Second, directions tell you to print out 2 folders in different colors then fold the tabs so they are opposite - the tabs are both in the center. They won't be opposite. More explanation in the attached video. Let me know what you think of this. We love watching your videos and love seeing how you make it all work. Now that I am learning my little Gypsy and all her ins and outs (and being a military family overseas) I DEPEND on amazing people like you to get my crafting tips! Hi I think your videos and your blog are awesome. I like that you put all the little projects togerther. I only have the cricut but I so want that Gypsy. Maybe someday. Hello. I like your file folder project. I am thinking you might be able to put some wallets in it (if it is big enough). I LOVE my hand held design studio. Since I got it that is all I use. I think I forgot how to use my E without it:) TFS. Oh, that is such a cute file folder. Maybe you could put 50 postage stamps in it and give it with someone with some thank you cards. Maybe use your gypsy to create postage styled thank you cards. Just a thought. if i owned a gypsy i could probably learn to manipulate those folder tabs, but i too am astonished at the size of this project! WOOT! Winner is #7 Paperscissors! Please send your address to kricutkrazy at gmail.com and Congrats!